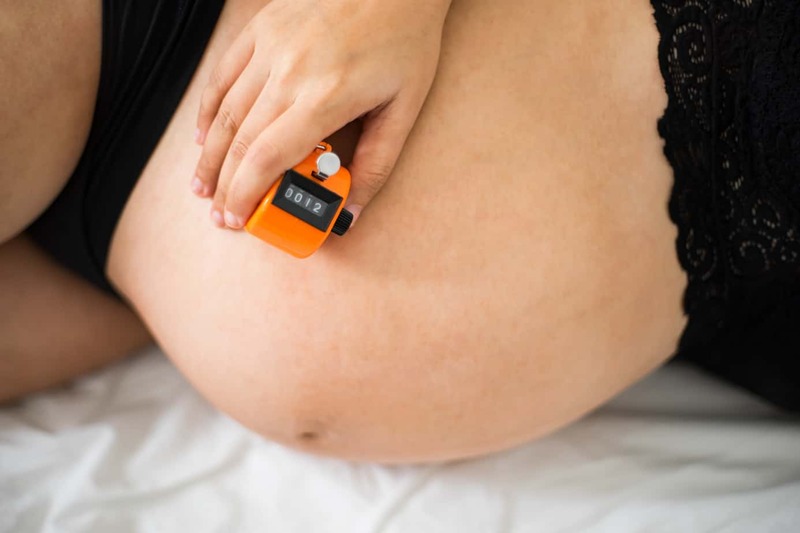 Home » Should You Be Concerned About An Active Baby Before Labor? Should You Be Concerned About An Active Baby Before Labor? There’s nothing like that first kick to make everything about your pregnancy just feel real. There’s really a baby in there, and you can feel it! It’s a thrill every time you feel those little movements, and family and friends gather round to put their hands on your stomach too...for the first few weeks. In all three of my pregnancies, by the time I hit the third trimester I have been so over the movement and counting down the days until my due date arrives and discomfort of another sort starts. But one of the truly frustrating paradoxes of pregnancy is that even while you wish the baby would stop trying to use his head as a battering ram on your cervix, you also start to worry if the movement stops or begins to slow down. Generally speaking, an active baby in the days before labor starts is a sign of a healthy baby. It can be very uncomfortable once baby is running out of space, and the soft kicks and flutters have turned into something way more intense. You’ll probably notice that your baby’s movements will settle in to a kind of routine. My babies were always more active at night, which didn’t help with the pregnancy insomnia. Babies can be lulled to sleep by the movement during the day if you are up and walking around, but will often perk up and start moving if you eat something with caffeine or a lot of sugar in it. If you’re able to, try going for regular walks towards the end of the pregnancy to help soothe an active baby. It’s also a good idea to take note of regular patterns of movement that occur. You don’t necessarily need to write anything down, just note which times of day baby seems to be the most active. If you have a baseline for what baby’s ‘regular’ movement is, it’s easier to note if something really is off. A very active baby could also possibly trigger Braxton Hicks contractions in the third trimester of pregnancy. Many women have reported feeling a lot of activity from the baby right before contractions started. The number one trigger for Braxton Hicks contractions, though, is dehydration. Drinking water regularly is important no matter what, but when you’re pregnant any issues surrounding dehydration can be magnified. It’s easy to get distracted and realize only when the contractions start that it’s been a while since you last had a drink of water. Try getting a cute insulated tumbler or water bottle that you can carry around with you everywhere so you can sip throughout the day. I’m usually really good about drinking water but during my last pregnancy I moved to a new house when I was eight months pregnant. All of the activity and the lifting and carrying of boxes – even small ones – combined with just being so busy I didn’t have time to stop and rest had me laid up for almost an hour trying to get my Braxton Hicks contractions under control. With some rest and a glass of water, these uncomfortable contractions should stop. As mentioned above, it’s good to take note of the general patterns of your baby’s movements, and which times of day he is most active. If something seems off, your medical provider may ask you to do something called a kick count. Drink some water and then lie down, and count the number of movements you feel. While the number might vary slightly from doctor to doctor, most will agree that ten movements over a two hour period are a good indicator that nothing is wrong. If the kick number is low, or if there are other concerns, your doctor might want to do something call a no stress test (NST). In this test, you will be hooked up to a monitor to keep an eye on baby’s heart rate. This test almost always brings moms-to-be peace of mind. My doctor always suggested drinking a glass of cold orange juice to help prompt movement, since both the cold temperature and the sugar in the drink can both encourage baby to move more. A decrease in movement isn’t always the only indicator that something might be wrong, though. Many women who have experienced a stillbirth have reported a drastic uptick in movement in the days leading up to the stillbirth. Don’t panic, but if there is a sudden change of the amount or type of movement and you are concerned, don’t hesitate to go and get checked out. You’ll never regret erring on the side of caution. Generally speaking, an active baby is a healthy baby. As baby begins to run out of room, the movements will change from sharp kicks and take on a more rolling quality as baby slowly manoeuvres himself in to position. Try and keep track of the general pattern of movement, and if you notice any type of drastic change – either an increase or a decrease – don’t hesitate to get checked out.